The Nelson Big Gun® sprinkler is inherently versatile. The 75 Series, 100 Series, 150 Series, and 200 Series Big Guns are available in both full and part circle options in varying trajectory angles, with coating options, add-on kits, and valve combinations. The versatility and guaranteed reliability of these field-proven sprinklers allows them to be used in a number of different applications. 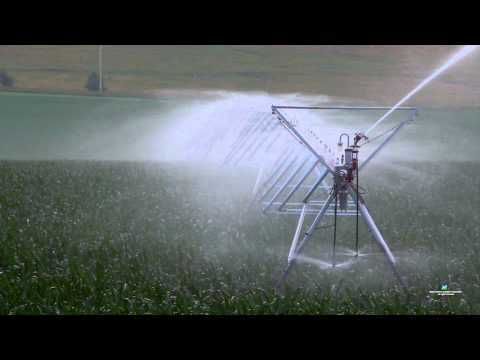 Big Guns are commonly seen at the end of a pivot, on a traveler, or in a Solid Set configuration for irrigating corn, sugar cane, pineapple, or pasture. 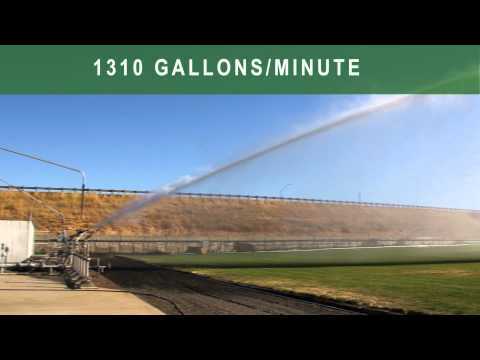 The Big Gun also works well in environmental applications including reclaimed water distribution, feedlot dust suppression and cooling, mining dust suppression, turf irrigation, and synthetic turf cooling and conditioning. Nelson Big Gun sprinklers have been used at Olympic stadiums and even used for fire prevention on some world-famous archaeological finds. And their uses keep on expanding as the sprinkler line evolves. Because readily available parts make the Big Gun so easy to repair, your sprinklers are assured to be constantly working for you as they stand the test of time.